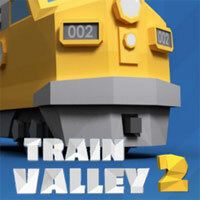 A game belonging to the popular tower defense genre. It's theme, however, is rather unusual, for the players' task is to protect their household against the attacking hordes of zombies. The game was developed by PopCap Games - a company popular for successful arcade-logic games, such as Peggle Deluxe or Bejeweled. 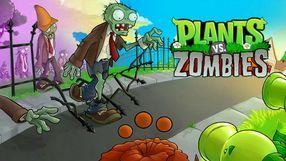 In Plants vs Zombies, the levels are made of paths along which the zombies are coming. The player's task is to secure each of those paths. Interestingly, the player's fortification comprises of various plants and flowers growing outside of their house. Each kind of plant has a unique ability. 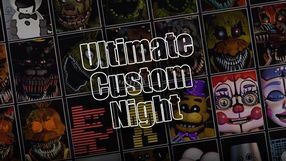 These include things like production the in-game currency, attacking, slowing down the enemies, or exploding in front of them. Zombies are equally diversified - there are many types of attackers, differing in appearance, equipment, and armor. All the subtleties of gameplay are gradually revealed and explained to the players. The game stands out with its atmosphere of comedy, deprived of serious undertones and tension. This was achieved mainly by colorful visuals and a cheerful soundtrack. The second part of an outstanding first-person logic game from Valve Software, powered by the improved version of Source Engine, mainly known from Half-Life 2. The story starts a few hundred years after the events of the original game. 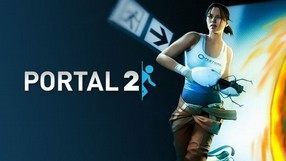 Once again you play as Chell, who is awaken after having spent a long time asleep in a hibernation chamber. Trying to find her way out of Aperture laboratories, she gets stopped by an artificial intelligence that manages the compound. The AI puts the protagonist against new challenges. In order to deal with them, the heroine has to prove her knowledge of the laws of physics and make a good use of a special device able to move objects and open worm-hole portals. In the sequel, the developers gave the players much more freedom of action. This not only enriched the gameplay, but also made it much more demanding. 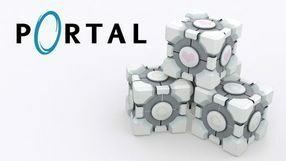 Portal 2 features a co-op mode, offering an additional campaign with a separate storyline. 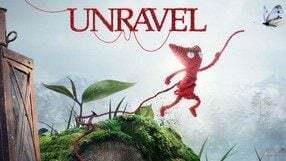 An adventure game designed by Benoit Sokal, the famous Belgian comic writer, in cooperation with studio Microids. 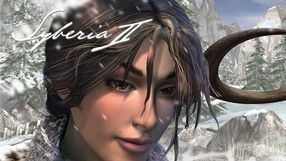 Syberia is the first chapter of the adventures of Kate Walker, an American lawyer hired by the company that produces automatons – mechanical toys. She is tasked with finishing the formalities related to taking over a factory located in a small city in Europe. The game begins when the protagonist arrives at the factory and learns that its owner, Anna Voralberg, is dead. In order to complete her mission, Kate must find her heir. The task pushes her to embark on the greatest adventure of her life. During the journey she will visit various climatic and mysterious places located in the Eastern Europe and she will meet many interesting people. 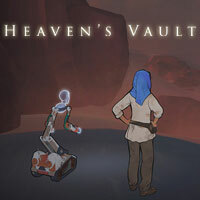 Since it's a typical point-and-click adventure game, the gameplay consists mostly of exploring locations, solving riddles and speaking with non-playable characters. Syberia is famous for its climatic graphics with pre-rendered, hand-drawn backgrounds. A refreshed version of a third-person perspective action-adventure game from 1999. The remake was prepared by Appeal – a reincarnation of the studio responsible for the original version. 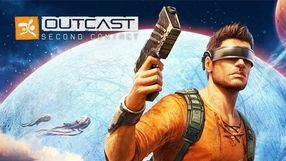 Outcast: Second Contact takes place in a science-fiction world, inspired by Stargate – a popular fictional universe, depicted in a number of movies and TV series. When USA sends a research probe into space, the device gets destroyed by the alien race of Talans, creating a black hole which is a direct threat to Earth. To save the world from destruction, humanity sends a group of scientists protected by a seasoned military veteran, Cutter Slade. When it comes to mechanics, the game is a mix of different genres, offering an open world and freedom of exploration, conversation, and performing tasks. Variety is definitely one of the strong points of the game: we face numerous logical puzzles, but dynamic arcade sequences are perhaps the main element of the gameplay. During those, Outcast becomes a classic third-person perspective shooter. A survival horror action game initially released exclusively for Nintendo 3DS. 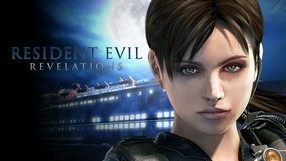 Resident Evil: Revelations is a spin-off installment of the Resident Evil series, created and developed by Capcom. 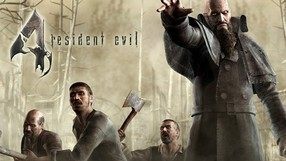 The action takes place in 2005, between the events of Resident Evil 4 and Resident Evil 5. The players have the opportunity to accompany Jill Valentine and Parker Luciani in their search for Chris Redfield and Jessica Sherawa. The trail leads to a ship called Queen Zenobia, the people aboard of which were infected by the t-Virus. Apart from the story campaign, Resident Evil: Revelations also offers the Raid Mode, a set of missions to perform solo or in cooperation with another person. 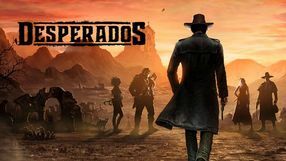 Another full-fledged installment in the legendary series of action games, developed by the Spanish developer Mercury Steam in cooperating with Konami - the creators of all the previous installments. The protagonist is called Gabriel and he is a member of the Brotherhood of Light. 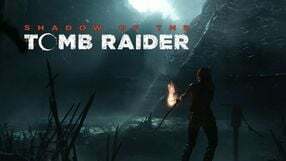 The organization fights evil forces, and Gabriel is given a mission to eliminate the titular Lords of Shadow. However, Gabriel has a personal goal to achieve as well, for he wishes to find and obtain a magical mask, the artifact required to bring his murdered wife back to life. In terms of mechanics, the game reshapes the standard platforming elements of the franchise to fit into the third-person action convention. The player traverses the game world on foot or on horseback, eliminating hordes of enemies encountered on the roads, and facing powerful, demanding bosses. The player makes use of several basic weapon types, including the token combat cross. The combat skills of the protagonist are improved as the game progresses. A sequel to the excellent adventure game created by Benoit Sokal and studio Microids. Syberia II continues the plot of the first installment - it presents the further adventures of Kate Walker, an American lawyer. Her intention of finalizing a contract led her to the adventure of her life. The game starts in the same place where the first Syberia ended – in the Russian city Romansburg. This time Kate decides to follow the trail of Hans Voralberg, the heir to an automaton factory, for her own reasons. The woman joins Hans and she helps him discover the mystery of the last living Mammoths. 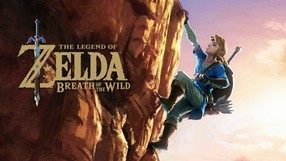 The greatest change in comparison to the first game lies in the quality of the graphics and the increase of the gameplay dynamics. Many new graphic effects were added, including dynamic shadows and an animated snow. Syberia II takes place in completely new locations that are much more different from each other than previously. During her adventures Kate will visit, among other places, the North-West passage and the village of the Youkol people. 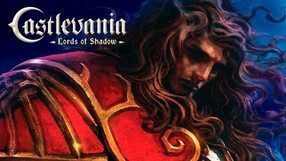 A sequel to the 2010’s Castlevania: Lords of Shadow, a hack ‘n’ slash game. 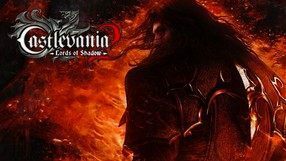 Castlevania: Lords of Shadow 2 and its prequel were both developed by Mercury Steam Entertainment in cooperation with Konami. The players learn the further fate of Gabriel Belmont. The protagonist fell victim to evil and transformed into a Lord of Shadow. 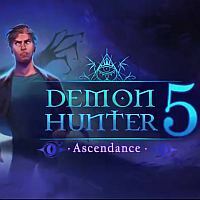 After centuries of loneliness and anguish, his old friend, Zobek, extends an unusual offer to him: setting him free from the curse of vampirism in exchange for help in fighting Satan. The action takes place in two words simultaneously—a dark, futuristic town and a medieval castle. 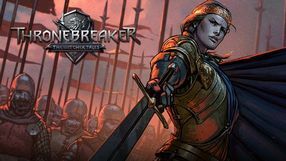 The core of the gameplay is combat against hordes of enemies that can be exterminated with sword, claws, and special vampire abilities. Third-person action adventure game created by the ex-members of Team Ico, led by Fumito Ueda. Previously, the studio had made their name known by giving us two of the most original and highest ranking titles ever to be released on PlayStation 2: Shadow of the Colossus and Ico. 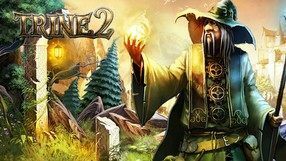 Their new game retains similar artwork style and equally unique atmosphere. You play as a young boy trying to escape the guards pursuing him. 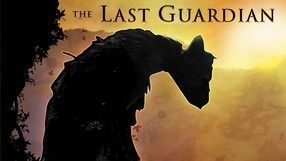 However, it is not him, but a giant, griffin-like creature named Trico, who is the central character in this story. The little protagonist is able to climb, jump, and squeeze through holes between rocks, but in some cases he needs help from the griffin, who can remove larger obstacles or carry the boy into seemingly inaccessible places. 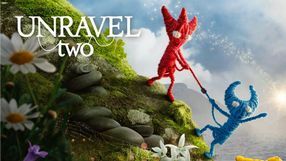 The authors put much emphasis on the character's interactions with Trico and the creature’s artificial intelligence, as he has his own individual character and reacts differently depending on the situation.